Most of life we are in a standby mode, so thought I'd do a quick video of what we can bring to the table. Nothing unexpected shown, the display on the right in showing Voltage, Current, and Power going into the transformers and the display on the left is showing Voltage, current, and Power going into the load. We have a variety of pole transformers sizes on hand and more sophisticated data logging equipment, but this is a quick showing that we can answer the question "does this work" all we need is a MITE - E - LITE McCulloch genset. You really are a man of means. Looking at your giant Variac and all those skills really is going to make this easier than I thought. I wish I had the $500 needed to send you this generator. You are a great guy for taking up this task and are much appreciated. I don't know where everybody went but I think Turion is having a time with his McCulloch getting it apart. When you have to break them down it is time for a rebuild. i can't seem to understand what, he's talking, about. he made a new video. its on his youtbue channel. a q & a. so, and i seen the guy who posted the video with the 2 pig poles. what ? could someone explain what your talking about to me? is, it a less waste kind of power? like if i get, 30mpg on my v4 1.8 cylinder toyota. and know how much heat the 1 gallon of gas can make. if burned and collected all this heat. and they say cars, run at around 20-50percent efficiency on the gas. i've heard. which means, that a motor can run at 100% efficeincy, it can be made, but a car, and the way it is made to produce the horepower, to push big heavy cars, the thing the motors in, down the road. are made, manufactured to get power, to push heavy things, and they waste 70% of the heat the gas can produce by being burned. cuase the heat could be used in a real good insulated like, box, and used to keep you warm. so thats like a 99% effective engine, the box is lets call it, the motor. 1% wasted on starting the fire, maybe some small machine to remove fumes and with. around 95% effiecient. You know I dont know. so, what are the pole pigs, showing? just tell it to me technically, the numbers, maybe give me a refresher course on electric here. i dont get it. and whats the generator supposed to be doing? ive seen the new morin vid at least oh, 5 minutes and the pole pig vid, linked here, and whats the deal with the pole pigs, 2 of them? here are a few pictures of this latest, really sweet looker. The guy has the cover off and it looks brand new. Here is a $200 McCulloch just North of washington in Canada. However when we localize a genset it would be best to know where to ship. Hitby will need to contact me privately so I can figure out what side of the country he is on to keep shipping cost down to a minimum. Thanks for keeping the team aware of all the good McCulloch Generators out on the used market, we still want one to do testing with, but if you watch Gerard's latest video 1+Hour from 2 days ago, it looks like he is now into washing machine motors . . . I think we should test the ideas he has already presented before we move forward. Gerard is very open and wants this tech. to move forward, don't just accept what you have been told, investigate things for yourself is his stance. I am still looking and planning to get you this genset, hang in there we will find you one. Now i know what state you are in. I called around on one today but couldn't get the guy on the phone. I see you found your private message box. Yes we need to run our own tests to be sure which way is best. I like the "GO BIG or GO HOME" pole pig test the best. Check out how this one runs. watch Gerard's latest video 1+Hour from 2 days ago, it looks like he is now into washing machine motors . . . The most important thing here is that Gerard has done away with gasoline and is using an electric motor to move the Bi-Polar generator. Gerard could send the energy produced from his magneto generator to any number of windings. Pole Pigs or send it to induction motor windings. Maybe it would be better to build this magneto generator without the need for gasoline so looping would be easy. We might find a junker MITE-E-LITE pretty cheap and you could remount the unit on an electric motor? How good are you with doing stuff like that? Could you do something like that? Or would you need some help? I will need to look at the break down diagrams first. 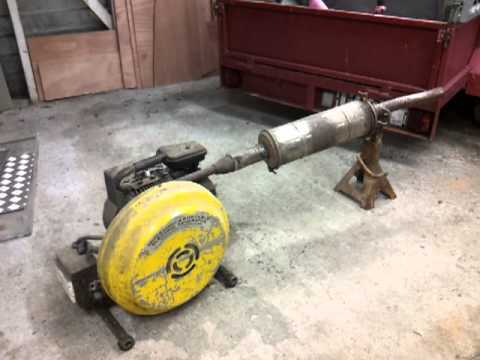 Looping could be done much easier using a 110v electric motor. Good video, I just sat down to watch it at 2 oc AM. Thanks for pointing me in this direction. Last edited by BroMikey; 01-30-2015 at 08:31 AM. see im interested in, both. the generator part and the whats the deal, what are you doing whats going on, with the pig poles part there? whats your video showing? cause its got no bi-filar or is that a similiarity of a brushless motor? the mcculloch? Did you see Gerards pole pig video? Yes we are missing the generator. I am talking to a man upstate. he is going to get me a price on shipping. Is a 1200 watt winding and rotor enough? Maybe he could keep the motor. I asked him he said maybe. This would lower shipping without the briggs. I will tell the group exactly what is needed when I know something for sure. Last edited by BroMikey; 01-31-2015 at 04:07 AM. The rotor and winding is all I need - - - - & this lamp Thats all . .
Maybe he could keep the motor. I asked him is said maybe. This would lower shipping without the briggs. BroMikey that sounds like all that we would need to test this concept, we would mount the rotor onto the shaft of a variable speed electric motor, then by changing the RPM we can track the input / output readings and find the proverbial "Sweet Spot" that any of these reactive devises tune in at. As you have noted this will drastically reduce shipping cost to not have to pay for the dead weight of an old tired gas sucking Briggs engine we don't need anyway. one unit should be able to supply most of ones electrical needs...IF! can be found in this configuration of equipment. transformers of the 3 phase system, not what we want. version with current part numbers component...ie no surplus transformers. Again that is if you make the basic Morin demonstration work. to go to 100KVar, 35KVar in a set of new transformers. from overheating, if driven by an electric motor. also there is another separate buck/boost coil in the regulated version. barium ferrite magnet disk inside the aluminum rotor, so that is interesting. gallon paint can water buckets. So one does not have thermostat problems. motor powered generator it would be easy then to close the loop. component substitution. Single ground point to true ground wire only please. believe the OU energy might come from. Let us know if you are finding anything. Last edited by mscoffman; 02-01-2015 at 04:24 PM. I still have been unable to get the McCulloch Generator apart, and I am not willing to go to extreme measures to do so until I havea second generator in my possession. That may be soon. I located another one for sale, have agreed to their asking price, and have asked that they hold it for me until I can come pick it up. It is only 17 minutes out of my way as I go from the house in San Jose that we are selling. (Offer pending) to our new place up north. I could get it within the next three days and then I would be willing to ship the first gen to whoever has the correct pole pigs to do the experiments...if I can't find any to purchase and do the experiment myself. Everything from my old shop is in boxes stacked all over my new shop, so I am a week from being able to do any serious experimenting until I get crap put away. And I still haven't found a source for the pole pigs, nor do I have an easy means, at least for another week or so, of hauling them home. Only a 25 year old Honda Civic until my Land Cruiser is out of the shop where it has been for 13 months being restored. Loaned my Accura to a friend, and my wife wouldn't let me put dirty ol' pole pigs in her new car! Thanks for the offer to support our testing setups. So far we can not find many large units. One big one came available awhile back, but Gerard has shown us that removing the gasoline engine is a good idea. Gerard has shown an electric motor powering the same McCulloch winds. This will enable looping much easier. Yes I agree make results openly, don't hide data. If we fail, post that, if we get it working post that. This is partly why we are in a holding pattern right now, because some of those who had made pledges have never been on good terms with one another partly because they want the data to be secret/private to only people who pay money into the project. I reject that idea. So we can start our pledge all over again as far as I am concerned. Anyway let us get down to business. We have determined from Gerard that the McCulloch winding is required. Also hitby is full Rock and Roll. The guys shop is full of industrial supplies. I am sure like anyone Hiyby could do it all himself but we all need to work together and be able to provide materials. Separate test could be performed with version specific devices. Like you say we could do tests with what Hitby already has but might need to get him a single phase pole pig the right size. We all appreciate your encouraging post to add support when the time comes. Right now I am waiting to hear from people who can actively participate in this thread. People who don't speak to one another are not interested in working toward a common goal. I learned along time ago that people say one thing and do another so waiting is an important part of any fulfilled accomplishment. I know that soon we will hear from more men who have something to say and they will be heard. Tests should be made in an exhaustive way and Hitby is a master. As far as you spending money for new ones we thank you for this. However I have found these exact units for hundreds of dollars each while new ones might cost thousands. I can get things for less that are fully functional for these tests and will make sure that the quality is good. I called the local power company here and talked to the big guys They enjoy a good experiment too. Anyway Mark let me find a big winding for openers and I will continue to address the group to see who wants to put out the money for each piece of the bigger puzzle. Last edited by BroMikey; 02-02-2015 at 04:15 AM. Do we have any specs on the pole pigs GERARD IS USING? If we did, we could start searching for places where they are sold and come up with some I would buy them myself if I had to, and I will have two McCulloch generators. I pick up the second one on Wednesday. Just heard from the folks who have it. Last edited by Turion; 02-02-2015 at 05:50 AM. Van De Graaf machines yeap. Nothing like what Gerard Morins doing. Where the van de graaf uses the dielectric belt to "peg" charge and carry it up to the isolated terminal sphere, the washing machine drain pump is just a 3600rpm motor being driven as a generator which outputs AC, not Electrostatic energy at all. Okay then the energy is sent over to a 25kva unit. Notation: look at how the first pig having the standard 240vac connectors has one of it's sides SHORTED. This maybe more significant then most people realize. Also keep in mind that only a magneto twin winding genset will work. Windings, windings windings, I know and like Mark said we should stick to the diagram. Other test can also be made of all sorts. So then the energy is sent to the SMALLER unit (25kva) so as to eliminate winding losses. This too is very significant. Spec's? Well I had originally assumed that the grey pole pigs are all the same. The outside case color may change slightly or the shape of the casting, but the insides are all made the same way. Could I be wrong on that? I doubt it but ask those guys anyway when you call if you think about it. we will be looking for your findings. Oh yeah Turion, I wanted to thank you for letting us all know that your genset didn't pan out the way you thought. No sense hitting it to hard to get it apart if if could be used for awhile as a back up. Maybe if it runs for awhile it will loosen up. However I think you stated that it was to small? A 1200watt? That is 1/3rd the size we really wanted. But thanks for the gesture. Last edited by BroMikey; 03-07-2015 at 01:08 AM. There is a 3300Watt Mite-e-lite generator version with a bigger, thicker yellow disk ...................... According to the patents there is a barium ferrite magnet disk inside the aluminum rotor, so that is interesting. the generator plus the transformers. I would be looking for to prove this is OU. You know alot about this generator. This is good for the experimenters. Does Barium Ferrite still get used in generator magnets these days? Hey Mike, that last video Gerard did, he mentioned the generator was only a 1500 watt unit driving the pole transformers. It was smaller than he originally thought, which made the results even more impressive. Last edited by Dog-One; 02-02-2015 at 12:27 PM. Thats funny because in the Pole Pig video Gerard specifically points out that his 30 fuse have not blown out because he was running about 21 amps. 120vac X 21amps plus could not come from a 1500 watt genset. It might run up to 2000 for 5 minutes but not 2800 watts continuously like Gerard said in the video. On the barium ferrite magnetic disk in the McCulloch Mite-e-lite Generator. insensitive to being damaged by heating. sensitivity as the rest of the windings. that had only one "D" stator coil. option in the Pole Pig transformer. outside the transformer telling what is on what is inside. one core for each phase - these are the ones we don't want at least initially. output voltage and power. Discharging the magnetics is a different thing though. OK Team, After having a conversation with Gerard (and as several have pointed out in the Comments on my first YouTube test) we were running power in the system reversed, we should have taken the source power (currently the grid) and put that into the bigger transformer and then taken our output from the smaller transformer, so we have made another test with the connections arranged as per Gerard’s instructions. Big>Small This test is only to set a base line reading to compare with planned future tests. Now we need to go find a BiGGer load. 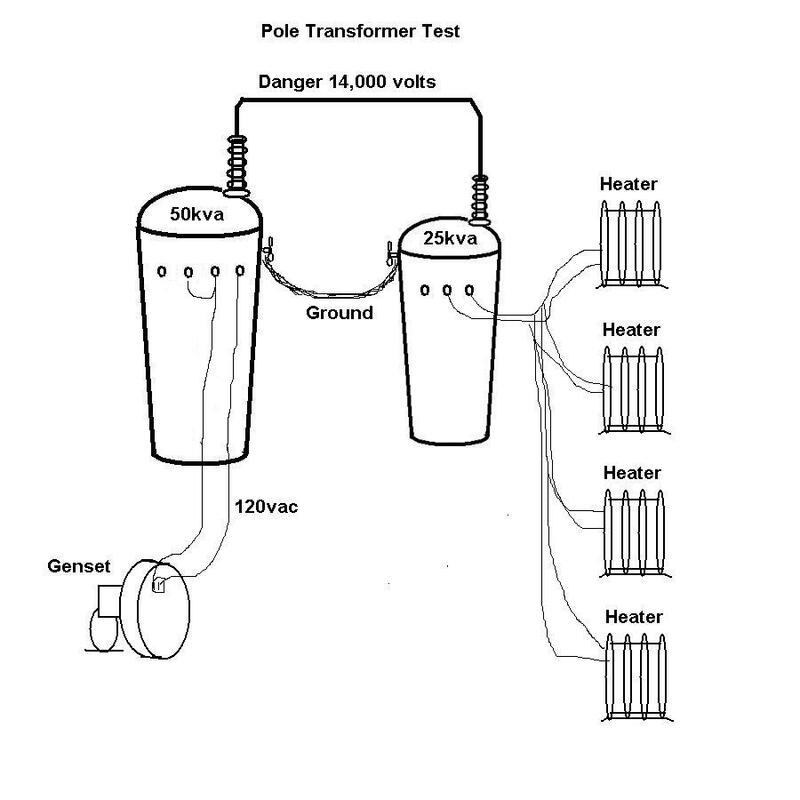 @BroMikey, Gerard did state that you only had to tickle the first transformer to initiate things and from Tom Bearden’s work we know that if we don’t destroy the dipole and keep the energy flowing that it can cycled through your system several times. So this smaller McCulloch might get things moving, time will tell. Great Facts Mark, good answers, all of what you said needs to be considered. The way you talk about designs got me thinking. Those windings made of flat stock and insulation are very "intense" compared to regular windings. I was watching Gerard and he called the Barrium magnets HORSE SHOE but I think the Patent says something else? Or maybe he meant it gave a horse shoe shaped field. All I know is how awesome those McCulloch windings look as they remind me of start coils. I am keeping a close eye out for a 3300 watt system (768 watts per HP = 768 X 4HP =) and yes we need need insulation tests, no problem. The part about losing Lenz law is very exciting, more so that I am hearing it from someone who is obviously astute in this field that perceives the possibilities of OU. So the, answer is none that I am aware of. Last edited by BroMikey; 02-03-2015 at 09:13 PM. It appears that I have found another 3300 watt McCulloch genset on the RENO craigslist. I called and left a message. I will follow up soon. Stay tuned. It would save time to have all of these pieces to start with rather than trying to make one from scratch. I just contacted the owner by phone and he called me back. The price is cheap at $125 but shipping may run $200. That is a samll price to pay for the right everything we need from A-Z. That is so awesome. He said it had spark but i really didn't care. In other words he can't get it to run. PERFECT for our needs. The backer plates and coils plus that dynamite double magnetic rotor could be adapted to an electric motor fast. Once we have this generator converted I will find some pole pigs. Is that fast enough for you guys? Check your private messages. We have a green light. I have never done this before so I don't know how to get this paid for and have a decent record of what I pay for. Or you are paying for. See what I mean, we want to be sure. He is actually going to wait till I call him back to check shipping cost I am suppose to call him Wednesday and when everyone has heard and decided this is a good choice I will call him back. He just posted this Genset and he said he would hold it til tomorrow. If you have handled things paying out of state let me know the best way to proceed in a secure way. The young man is in the military and will be at a military base soon on the 17th so I know he has options. Paypal, credit cards, money orders, I never did this before, not real sure. Let me know what you think Mark. I didn't think it was a bad price at all. Last edited by BroMikey; 02-04-2015 at 04:07 AM. Check your private messages. It looks like the 3300 is the best deal and it won't get hot having the extra headroom/mass. setup across the country and it only costed $80. He sent me a money order cause I don't do paypal or credit cards. It shouldn't be difficult at all. Greyhound bus is a cheap way to ship also.